Mazak is a company that leads the way in the manufacture of advanced technology solutions including Multi-Tasking, hybrid Multi-Tasking, 5-axis, milling, turning, CNC controls and automation. Their upcoming event, Discover 2015 is one of the largest events held in the United States and is an educational, technology, and networking event manufacturing leaders won’t want to miss. How can you be there? 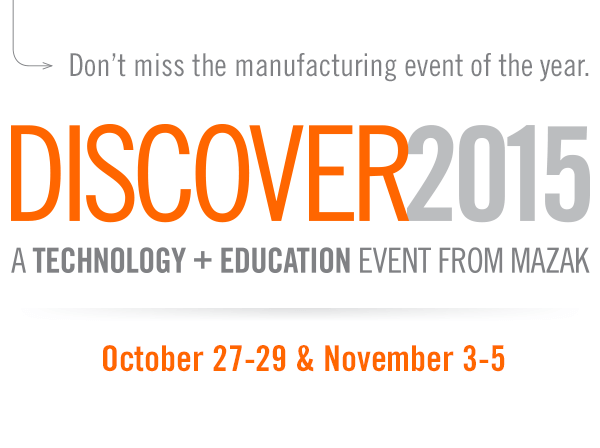 Go to the Mazak website https://www.mazakusa.com/discover2015 and register for this event, coming up October 27-29 and November 3-5, 2015, in Florence, Kentucky. Jim and Jason would love to hear from you so they can better craft the show to meet your exact needs. You can leave your question or make your guest suggestion by going to the Making Chips website - www.MakingChips.com/contact. Don’t be shy, the guys would love to hear from you! [9:25] Who to target with his Facebook ads.